Today I launched an idea. Basically, instead of joining in a creative challenge, you can create your own artistic adventure. Your own ideas. Your own rules. Not forced or something you strive for each day, but something that comes naturally as you live a creative life. I know it’s not a creative challenge in the traditional sense. In fact, I hope it’s not a challenge at all. To tell the truth, I wasn’t sure whether I should ask people to do anything, how it would be received, or that this will be, like, really, like, popular. It also holds me a little accountable; to create some cartoon images I’ve been dreaming up for a while and regularly review the #wonderwebby hashtag (assuming some people join in!!) But it really felt like the right thing to do. 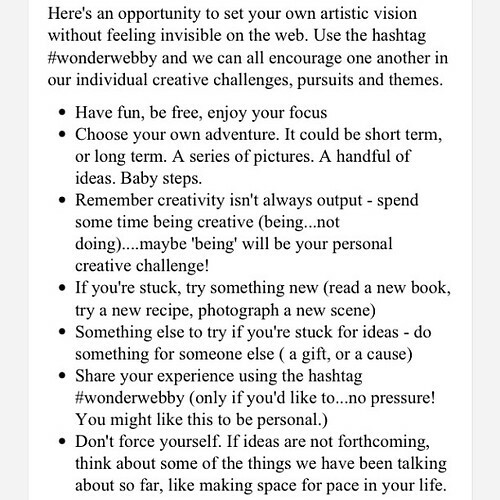 Personally, I really want another avenue for creativity this year…but I took one look at an Instagram challenge and realised it was going to set me on a path I didn’t want to focus on. Ideas work their way into your daily thoughts, into your heart, into the background when you’re busy doing other things. So, I decided a personal focus was the way to go. 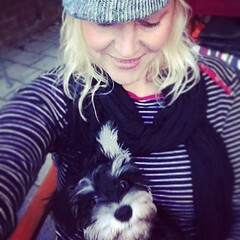 PS meet the latest addition to the wonderwebby family…a mini schnauzer. She’s a playful little puppy..but she’s the best! ← Keeping it real. Really beautiful.